The Ventura Flea Market is held near the ocean in Ventura and is a great place to shop. The event features antiques, used and new merchandise sold by over 500 vendors, more than 5,000 buyers visit the Market each time it is held. 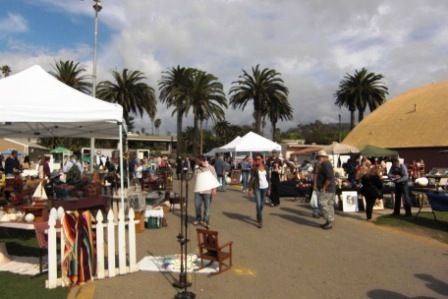 The Ventura Flea Market is held from 9 a.m. to 2 p.m. at the Ventura County Fairgrounds. A special Early Bird admission is available from 6am to 9am at $10.00 per person. Regular admission starts at 9 a.m. at $5.00 per person. Children under 12 are admitted free when accompanied by an adult. (Prices current as of February 2018.) Pets are not allowed. Event is held rain or shine! Parking is $5. Visit www.rgcshows.com/ventura or call 323.560.SHOW (7469) for more information.